More than just seed! We have the products, resources and expertise to ensure your golf course is always healthy and tournament ready. From native & pollinator areas to fairways to greens, we're here for you! With your short- and long-term goals in mind, we take care to ensure your soil and your turf are healthy and game ready. We're here for you! 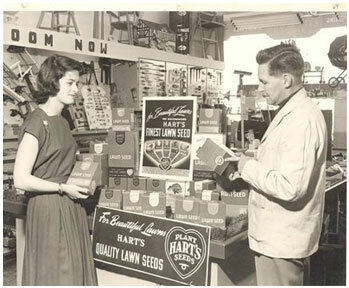 We have a long, storied history in the agricultural and turf management industries! We’re pleased to welcome Solu-Cal USA to our portfolio of industry leading supply partners! With the ability to adapt to new trends and work with new technologies, we are at the forefront of Turf Management, from design, to installation and management, and are a complete turf solution. 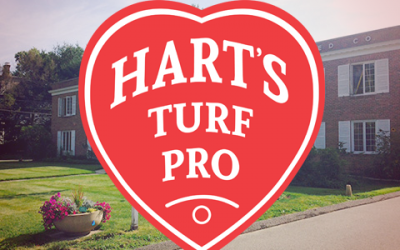 Greens and fairways require an expertise and precision that Hart’s Turf Pro can deliver. From pre-plant planning to long-term management solutions, we have the reliability and partnerships to ensure your success. From grade school to the professional level; we can provide a variety of customized solutions to create the perfect playing field based on your needs, maintenance schedule, budget or local restrictions. Set yourself apart from crowd. Hart’s offers professional lawn care solutions for mid- to high-end commercial and residential properties, to whatever level of care you provide or your customer demands. For our CT clients, click here to join The Connecticut Grounds Keepers Association. We believe in long-term health for any natural turf stand, from soil level to the leaf tip. We carry the latest technology products to offer conscientious, environmentally-sound agronomic solutions to give you healthy turf and healthy soil. Our promise comes from a legacy of superior products and customer service. The promise to all clients is to provide them with the best experience, best response time and quality materials that provides exact delivery and long-term management solutions that will maintain healthy green turf for many years to come. A complete list of our supply partners can be found here.